Posted in: Events, Galas and Parties, Nashville Wedding Venues, Vendors We Love. 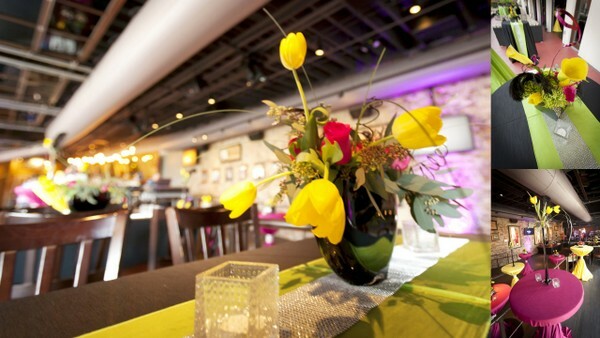 Tagged: Caprice Palmer, Enchanted Florist, Hard Rock Cafe, Nashville Wedding Florist, Perfect Wedding Guide. 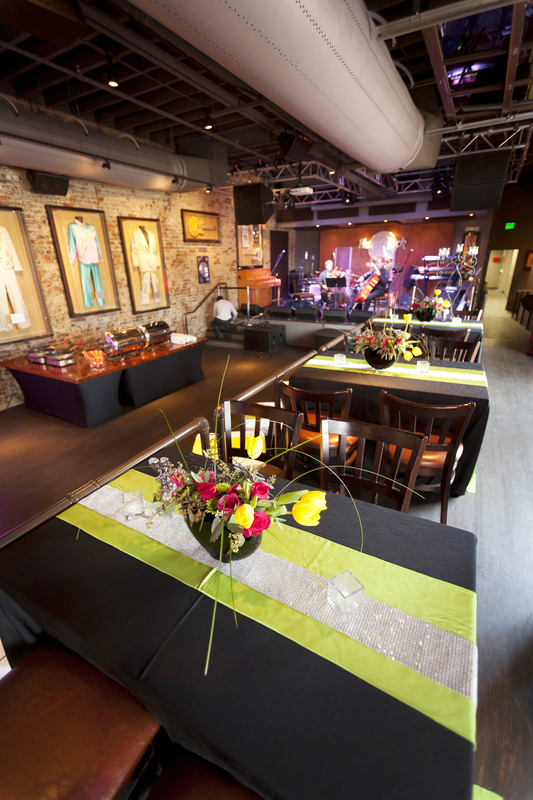 If there is one sure-fire characteristic of every wedding vendor, it’s that they know how to throw a good party… particularly when the guest list includes Nashville’s finest wedding pros. 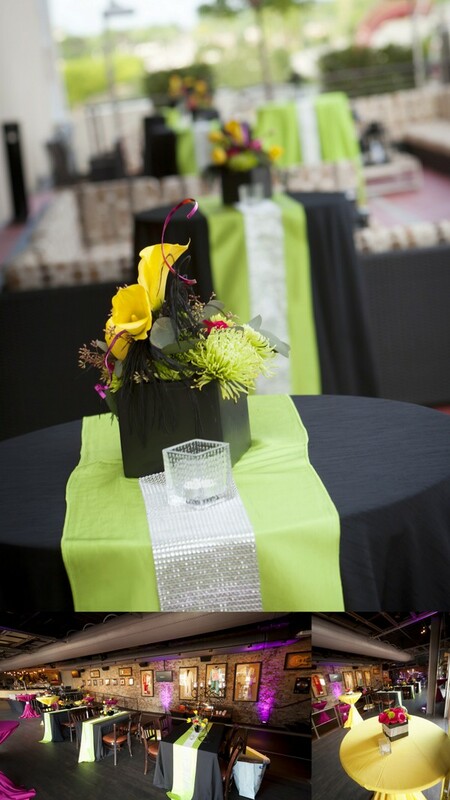 And party we did, as the Perfect Wedding Guide hosted their recent client appreciation party earlier this month. 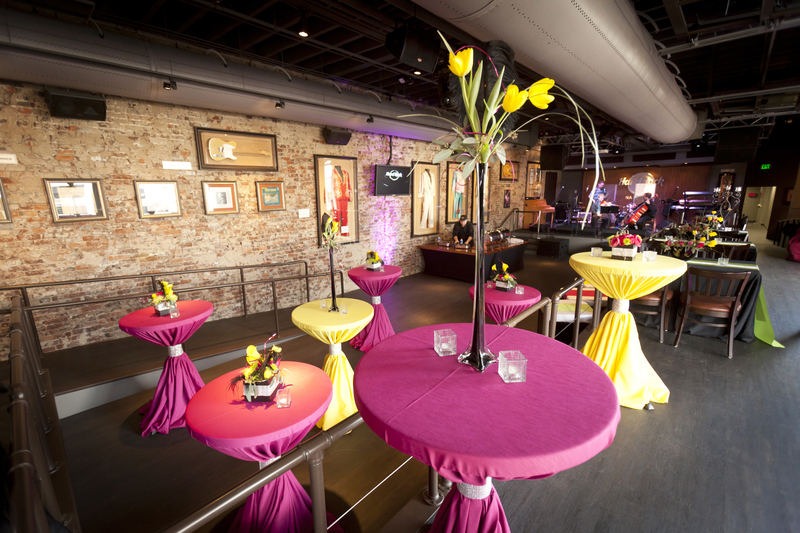 Our team was charged with creating floral arrangements to compliment the rocking decor for the event, held at the Hard Rock Cafe in downtown Nashville. Nashville wedding photographer, Scoobie Schneider captured the great pictures below of our bright and colorful centerpieces of hot pink roses, yellow tulips and calla lilies, green spider mums and black feathers.